Erin Slaven, Orlaith Duffy and I returned home to Glasgow from a visit to the Scottish Parliament on a bus full of working class football fans. Not your typical football away day! We had just witnessed a historic win for all football fans. For the first time in its history, the Scottish Parliament had repealed a piece of legislation that it had, itself, enacted – the Offensive Behaviour at Football Act. We celebrated the success of Fans against Criminalisation (FAC) and the work of those, including myself, who were involved in various ways with their seven year (and counting!) campaign. This was when Erin first raised her idea to campaign for free period products. Where better to start than the place our passion lay, Celtic FC. We started a WhatsApp group chat and started to discuss. Among other things we spoke of the work taking place on Period Poverty in the Scottish Parliament as well as a survey of more than 1,000 people that Women for Independence activist Victoria Heaney had carried out on the effects of Period Poverty in Scotland. Political expression is widely found across football stadiums and despite the frequent cries to keep politics out of football – it is undoubtedly intertwined and therefore, football grounds, to us felt like the perfect place to push for some period positive change. We began by emailing our Supporters Liaison Officer to ask for a meeting with our club. At the same time and to show Celtic that we were not just three girls looking for something for free, we started an online petition to get some backing from other fans. Online Celtic forums went into meltdown, with threads reaching over 25 pages worth of – mostly male – fans debating if period products should be provided free of charge at Celtic Park. Debate on Twitter was also taking off and we were constantly challenged. We were asked why we wanted period products to be provided for free and why we thought Celtic and our stadium should be the first to do so. The most common objection to our campaign was a single statement “If fans can afford tickets, they can afford tampons”. One of the main reasons for starting our campaign was that we believe products, which allow us to manage our periods, should be readily available and at no cost just like toilet roll and soap are – regardless of your financial circumstances. Minds changed when people started to consider that toilet roll and other hygiene essentials aren’t something you are required to prepare yourself with or pay for. Over the following few weeks we met with journalists, were invited to parliament to meet Monica Lennon MSP, spoke to bloggers and engaged on social media constantly between university, work and our everyday lives. We received support from politicians and activists who had originally inspired us as well as from football fans and non-football fans alike who thought it was a no-brainer idea. As three girls who had no previous experience of leading a campaign and limited involvement in activism, we often referred to ruthless, inspirational female football fans such as Jeanette Findlay of the aforementioned FAC and Jacqui McAssey of GirlFans for additional support. The debate generated online and the near 3,000 signatures gathered on our petition had Celtic interested and we were subsequently asked to meet with the club to discuss our proposal. Armed with confidence in our campaign and researched information to show Celtic why they should do this, how they could do it and when we wanted them to do it – we met with our SLO and Celtic’s General Secretary to ask for free period products at Celtic Park. The meeting went well. Three female fans and two male employees from Celtic discussing the taboo subject of periods and the stigma around them in the same conversation as a chat about winning a potential double treble and whether we would beat our biggest rivals, Rangers, in our next game. Exactly what I want discussion around periods to be like – normalised. Celtic were really interested and took away the proposals and information we provided them with to discuss further internally – whilst we promised not to take the toilet roll away with us on our way out. People stealing or stocking up on free period products was a trending concern within online discussions throughout our campaign. A week later and just three months since starting the campaign, we were advised that Celtic were going ahead! 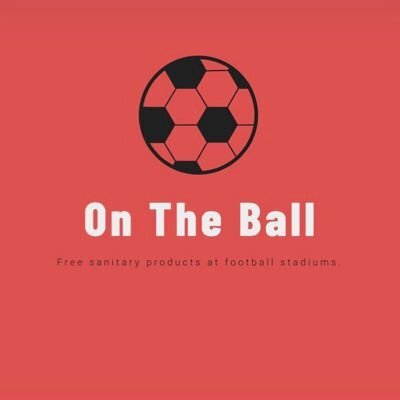 Celtic were going to be the first football club in the UK to provide free period products for their fans and would do so for the start of the 18/19 season. Our campaign is grassroots and fan-led so it felt only right that we be the ones to announce this good news. We decided to do this via Twitter as that’s where our campaign started and that’s where discussion on our work was continuing to take place. The majority of mainstream media covered the story and Celtic released an official Club statement, which gave us full credit for the work, highlighting that they had listened to us – their fans. The plan was always for Celtic to lead the way and for other clubs to then follow so after this success we got to work on how to progress our campaign. The first football team of Celtic legend and record goal scorer Jimmy McGrory, St Rochs Juniors, were next in line to agree to provide free period products at their ground, James McGrory Park. St Rochs are a club completely in tune with the local community in the Garngad area of Glasgow. Their ground is used beyond football including for tutoring sessions and mental health walking and talking groups so we were delighted to meet with their Director of Operations last month to discuss the initiative with them. Despite offers to progress our campaign through different routes such as media/ newspaper companies or via funded university research groups, we want our work to remain true to its origins; grassroots and fan-led. It’s important that our working class campaign is recognised as such and the influence we as football fans have within our clubs and amongst our fellow supporters should not be underestimated. We started ‘On The Ball’ as a means of extending our campaign and kicked things off by appealing for fans of the remaining eleven SPL clubs to get in touch. We now have fans of all clubs, with the exception of Dundee and Hamilton, who are prepared to raise our proposal with their own beloved teams. Fans working with fans, for fans! Positive progress can already be seen from this work. Although our focus was on SPL teams, we encouraged communication from fans of all football teams and fans of Tranmere Rovers were not slow to get in touch for support. It took members of the Tranmere Rovers Trust just under two weeks to confirm back to us that their club had agreed to be the first team in England to provide free period products at their ground, Prenton Park. Positive change is taking place and our campaign is enabling it! Periods are being put into public consciousness and social attitude needs to and is changing. Visibility of female fans is without doubt increasing. However, with the stereotype of football fans remaining as an often negative one in many sections of society we want fans and clubs to show that football is forward thinking and inclusive. We want to send a strong message out to other businesses, workplaces and beyond – if our football clubs are providing free period products, so should they! We want fans of all football teams to get involved with our campaign so that with their support, we can get all of our clubs on the ball and providing free period products for their fans. GirlFans: @Jacquimcassey or GirlFanZine on Instagram.